Under Construction. Home is under construction, framed, windows and doors. 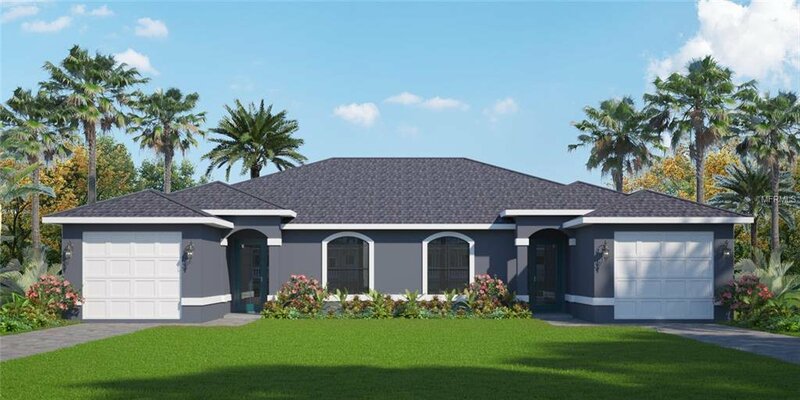 Estimated 7 months to completion.Magnificent custom attached villas with two bedroom ,two bath per unit., 9'4" ceiling's with Tray ceilings and crown moldings. Custom 42 inch wood cabinets, granite tops, gorgeous plank ceramic tile floors throughout. This beautiful coastal living duplex is located 6 miles to world-famous boca grand and minutes to Manasota key, dining, decks, boating, and over 11 local golf courses. Price includes 2 private swimming pools!This is a fantastic investment opportunity, rent one unit seasonally, up to 3500 to 4000 per month and keep the other side for your own enjoyment. Have a model home to preview located at 14502 Maysville Circle to see the quality of construction. Nothing else like it. Paradise begins at your front door!